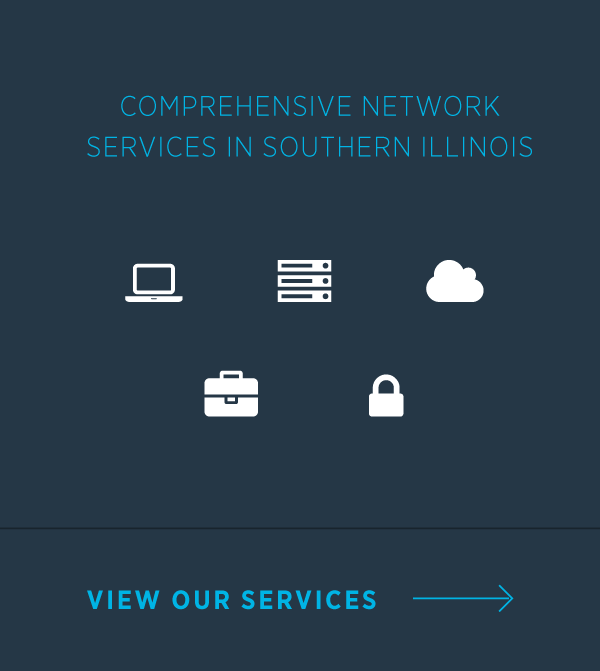 Southern Illinois Network Consultants, aka SINC, is a family owned and oriented company with strong ties to the communities in which we live and work. We have been servicing southern Illinois businesses for more than a decade, with proven reliable, professional, and affordable services. SINC is the only firm in southern Illinois that staffs Microsoft, Apple, Linux, A+, Dell, and Cisco certified technicians, allowing SINC to provide the best services and expertise in the region. We offer prompt, professional, and personalized service that meets your specific business or home office needs. We understand that information technology systems are the heart and soul of your business. Unlike other IT companies, we have been in the business for more than a decade and you can trust that we will continue to offer the same exceptional services for decades to come. We pride ourselves on quick response times. Whether it’s a minor issue or a big emergency, you can count on us taking care of it quickly, arriving promptly, and keeping in touch as the problem is tackled. SINC is not one of those companies where you leave a message and sometimes wait days or even weeks for a reply. SINC also works with your unique needs and offers the most efficient, cost-effective solution for your business. In addition to our exceptional customer service, we also offer emergency services to our clients on nights and weekends to make sure you’re never without the technology you need to run your business or home office. Many of our clients have been with us for a long time, but we are always interested in making new contacts and servicing new businesses and residences. We get the job done right and that’s what keeps our clients coming back.